Pictures from the Internet or those that we see on social networks are not always high quality pictures. 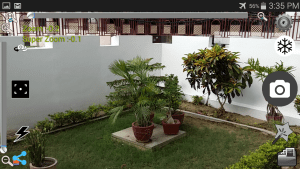 When we want to see them in details it can be quite challenging since you have to zoom them. And as we all know they often lose quality because of zooming. The same thing is with taking photos. 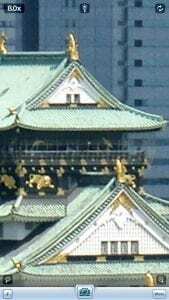 Even if your camera is technically advanced, when you try to zoom pictures, they are getting low quility and ugly. The list of apps down below will allow you to zoom your pictures effectievely and without sacrifising the quality of them. The new generation of this app is already here! 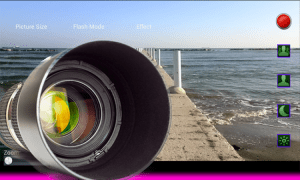 If you are someone who struggling to make beautiful pictures in a few seconds, then with this Camera ZOOM FX you will discover all the nessesary possibilities for it. All the filters are professional in order to add your photos extra brightness and make them outstanding. You will also be pleasantly surprised with many stickers with many topics for expressing your emotions, a number of touch-up tools which will help your pictures look amazing. The interface is really creatve and simple at the same time, effects are layered easily and professionally. You can also choose different frames from the set. Make different collages with your photos of extra-high quality and express your inner creativity with this app. The advantage of this app is that it has no add so nothing will distract you from the process of shooting. 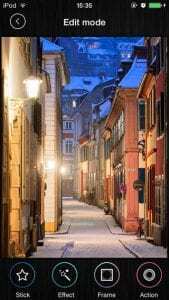 You can choose one among the variety of camera modes so you could use the possibilities of your smartphone at the maximum level. There are also several modes of flashing availiable. Not to forget to mention the focus setting which allow to set your camera on different variants of pictures. As soon as you undertand how it all works you will be able to take rally impressive photos. 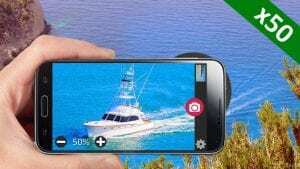 This is one of the best super digital binocular app, which would make a whole world of a difference when you take a photo or film a video. The zoom has a scroller, so you can regulate manualy the size of a picture you want to take. The app work both for front and rear camera. 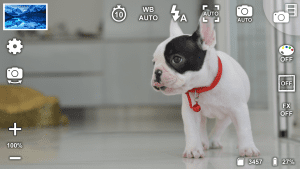 You can take all your pictures and film videos in HD, put a focus on specific things on the picture, enlarge the image more than 30 time bigger. Also you will find here the built-in library which is also convinient for users (you don’t need to switch on to the gallery to take a photo). All in all, the app would be a good choice for those who plan to shoot their staff like a pro. 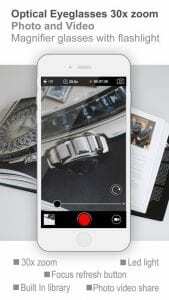 Now you are able to take high quality photos using this app. Just reverse-pinch/pinch to zoom in or out, use the special buttons, easily take a great photo of the zoomed picture and share it with friends and even on Instagram. You will have no troubles while talking zoomed photos. You can also use design to decorate and improve your photo. The app itself is pretty simple and keep in mind that only 3x zoom version is free. 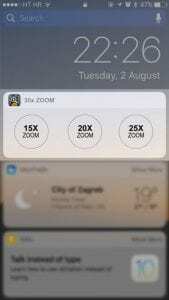 In order to get 30x zoom version you have to pay. After you took a picture you can share your photos via social networks. 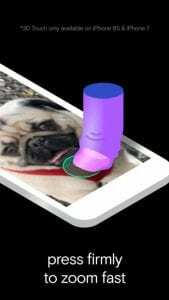 This app can turn your gadget into a telescope or virtual binoculars in seconds. It provides an exellent photo zoom which will imrove the quality of your pictures. You have multiple zooming options – you can zoom using volume rocker or zoom gesture on screen. Take your shots in Negative or Black and White effect. The app also includes several focuses mode. It doubles zooming possibilities of your camera (if your phone previously had 20x zoom, it will get 100x zoom). It works better with 8 megapixel camera, by the way. Flash is also supported. The process of zooming will not slow your device since the zoom is done entirely by gpu. The freeze and macro focus feature make this app the best rival too all magnifiers out there. 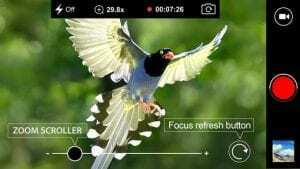 If you need a geed zoom for your phone camera – this app is your solution. In general aspects, it is simple, but useful at the same time. If you are crawling to capture best moments of your life – just use this photo zoom and you will get a number of memorable shots forever for you. All those high-quality pictures you will make, will be saved in your gallery. There are several modes of the camera which you can choose and take your shots. There is also a possibility to layer effects on photo right during the shooting. 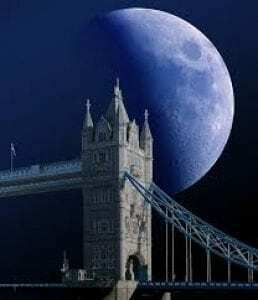 All in all, those people who prefer classic approach to the apps and photography will appriciate. Now you are able to create unique photos with this zoom app. It has a set of additional filters to make them more outstanding and extraordinary. Then, a touch of special effects and your creation is ready. 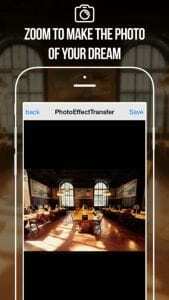 Those people who want to have professional looking photos can now enjoy all the range of possibilities given by this app. 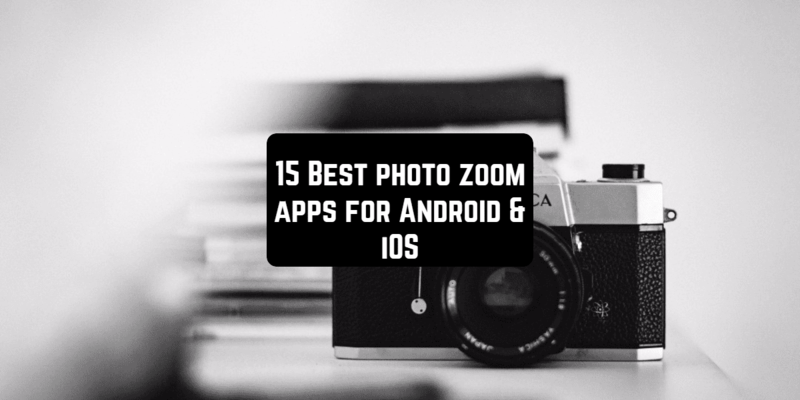 It will help to increase the zoom of your camera and take a really high quality pic. If you want to add some individuality to your photos, use filters built in the app. You can press buttons of sliders to zoom the camera. When you are ready to take a shot, press on the button. 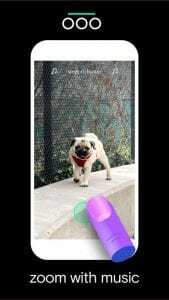 All the photos you took will be automatically saved in the gallery. Later, if you want, you can layer on filters and effects on them. Last step is to save your photo polished with filters. Instagram now is a Holy Grail for milions of people. Some people are trying so hard to polish their pictures for instagram until they are perfect. To zoom your pictures for this purpose you should pay your attention on this app. It gives you a chance to zoom your pictures and save them in high quality. You need to sing in first, them search and zoom. You will be able to see the profile picture of any user 8 times bigger than usual. What is more, you have a chance to track when a certain user changes their profile picture or username. With an app like this you will never miss significant changes in your friends’ profiles. Or in profile of someone you like. 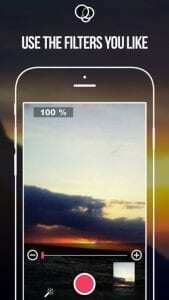 This app will allow you to take pictures with even 50x scale (however, it depends on technical virtues of a camera). You can take pictures with the maximum closure. If an object that you want to perpetuate is situated too high there is a chance to take a photo of it in a high quality. You can use this option as telescope, binoculars or digital microscope. This is an ideal tool for spies and wild nature lovers. Usually your camera works with 2 types of zooming: optical and digital. The apps which are built in the device originally do not use the whole potential of a camera. This app does. In order to achieve better results you can use additional digital super-zoom. It utilizes advanced mechanism of zooming (bilinal interscaling) which will allow to take pictures even with 100x zooming. You will be able to take shots of different objects in different distances. 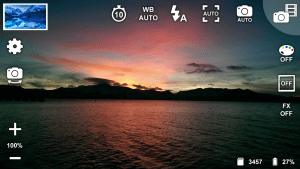 You can also adhere camera settings and effects, type of the mode, the black and white balance, etc. Ultimately, a lot of factors depend on the possibilities of your phone. A name like this can be hard to remember, but once you have become acknowledged with this app you will probably keep on using it in the future. You can zoom super far, super fast, super slow, or anything in between. While you are in process of zooming, you can pick up a track and listen to it. The app upgrades your camera, turning it into multi-functional tool which can proceed photos and videos making them look professional. It is also very convinient to use since you can zoom and record with one finger. All the shots are saved automatically to your phone. What is more, it doesn’t require signing in and you can start working immidiately as you launch it. 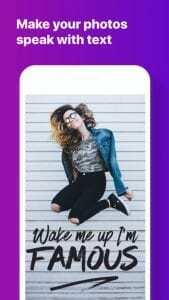 So discover all these possibilities after installing this app. If you are looking for a smart application but in the same time you want it to be simple to use then this is it. Myicamera zoom photo allows you to take pictures of the highest quality and zoom them. You can use digital camera, the app also supports ultra HD images and 4k camera mode. Autofocus and zoom are also available, so you can take your photos in the most professional-looking way. 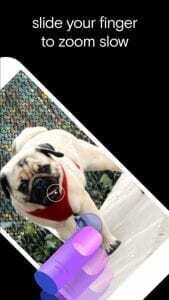 Even if you want to zoom your photo in the biggest way there is a possibility to do that. It also supports the flashlight and front camera modes. Need a binoculars? Use Myicamera and the problem will be sovled! Moreover, we all know that some problems may occur with the flashlight in the nighttime. Usually, it overwhelms a preson making them look pale and unnatural. 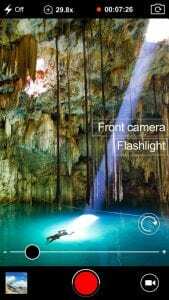 To prevent this effect, there is a special light flashlight mode in this app. It can work without the Internet. The zoom is optional – from moderate to the optical one and you can also save zoomed pictures. Another essential feature of this app is that it can work with any smartphone which is really beneficial for those who doesn’t own the last version of iPhone. Now you don’t have to think whether or not your glasses fit to your face in the right way. We all know that the idea of the virtual fitting isn’t new to us. Optical Eyeglasses 30x zoom with flashlight are normally used for you to see better in any life situation. It’s superb technology that really works and those people who have weak vision now can be calm for not to be embarassed anymore. They allow better capturing the information, when, for example, you are in the airport and have a trouble in reading your flight time. 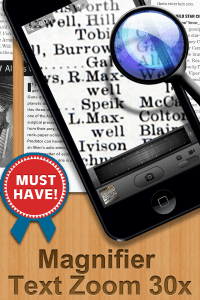 Pocket Glasses app may be used for viewing specific visual information such as newspaper or letters. This app gives you the Best opportunity to see everything as much as you want without actually trying on glasses as for the most part, trying on glasses is still a real-life anxiety. This is a great handy application which will help you to solve a number of problems when it comes to viewing tiny things and objects. It includes handy zoom scroller so you can choose the scale that you would like to see. With that you can view every single detail on the screen of your smartphone under any angle. The app allows you to use both front and rear camera. Flashlight option is also supported. In case if you don’t want to spend a lot of time scaling objects by hand there is an autofocus option for you. Only keep in mind that your device should have a camera not less than 8 megapixels or the app will be unable to work at it’s full capacity. 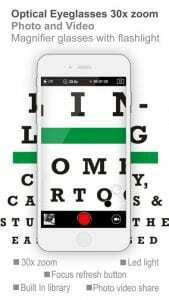 The app is versatile and can be used also as a microscope or binoculars. We all know that icons with profile pictures on Instagram are rather small and it’s hard to view them in details. Now you can have a special app to see everything you wanted to see and zoom pictures from Instagram. 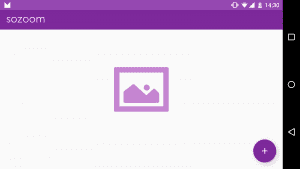 It is also a photo editor, which will allow you to take your own photos, zoom them, edit them and post online. If you want you can even make different collages. The variety of effects, layouts, styles is huge so everyone can find something they like or look for. To be more convinient, you can choose the style of photo editing in advance, for example, for Twitter or Facebook. There are also a lot of fonts which you can layer on your images. 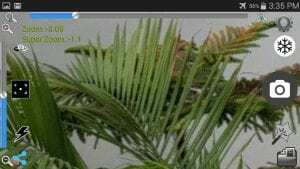 Finally, when you cut and zoom photo in this editor, they don’t lose on their quality, which is known to be a common problem among photo editors. Lastly, an outstanding app for photo zooming and editing. Add zoom balloon to your photo, drag the balloon and move the zoom point around to highlight certain elements. It has a fun way to work with. The quality of zoomed photos remains decent so you now can see intricate pictures in details. All you have to do here is to mark the spot you want to zoom and place a ballon on it. When you let go on your finger, the app will automatically zoom the zone for you with all the elements included. 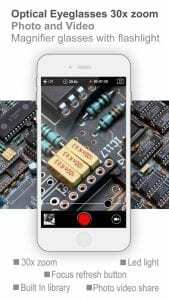 What is more, since this app is quite simple, it doesn’t have any complicated technical characteristics and can work on any smartphone.